AHF launched a brand new £7m social investment fund. The Heritage Impact Fund will support re-use of the UK’s heritage buildings through enterprises that, alongside traditional heritage projects, deliver demonstrable impact in the local economy and community. These buildings may be listed, in a conservation area, or may be of special significance to the community. Offering tailored loan finance for charities, social enterprises and community businesses across the UK seeking to acquire, reuse or redevelop buildings of historical or architectural importance, this is the Architectural Heritage Fund’s first partnership loan fund, and sees the AHF partner with the National Lottery Heritage Fund (which is providing £2.25m of the £7m total), Historic England (£800k), Historic Environment Scotland (£427k) and Cadw (£100k), with the AHF providing £1.42m. Rathbone Greenbank Investments will provide investment management and loan facilities to the AHF. Loan amounts will be up to £500,000 per project with a maximum three-year term, which can be extended in exceptional circumstances. Alongside the Fund, the AHF is launching a new business support service – RePlan – that will provide access to pro bono expertise, expert advice and guidance to those organisations that would benefit from targeted capacity building support, assistance with business transformation, transition or expansion. RePlan will be particularly targeted at organisations completing a capital project or looking to build upon or scale-up their existing enterprises. “The Heritage Impact Fund is our first partnership loan fund and the first of its kind for the heritage sector. We are extremely pleased to be launching the fund alongside our partners. 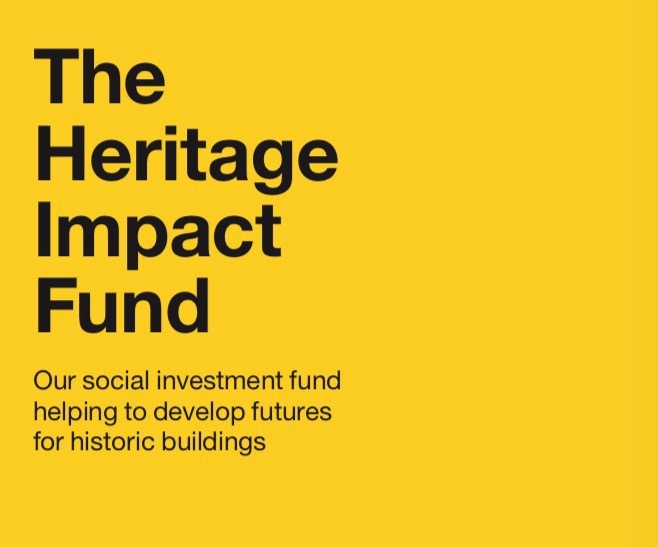 The Heritage Impact Fund is designed to be flexible, supporting not-for-profit organisations both within and outside the heritage sector, the common link being the re-use of a heritage building and delivering local economic and social benefits.